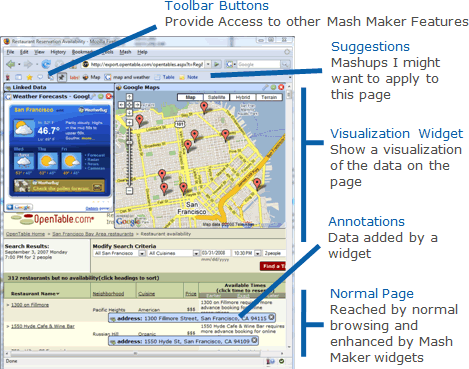 Intel launched a Mash Maker application today as a browser plugin. It is similar to Yahoo Pipes and Microsoft Popfly but can be used inside the browser. The surprising part is that Intel, basically a hardware company launching this mashup creator application. Intel launched a digg clone a while back for software called Cool Software. It works with Internet Explorer 7 and Firefox, Mash maker is also available as media add-on to windows media player and iTunes. With this application you can create web mashups using content from various sites. You can customize and control the layout. Created mashups can be shared with friends or can be published to other sites. 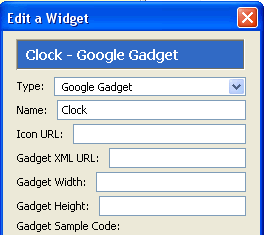 You can create mash maker widgets or use widgets created by other users. Google gadgets can also be used as mash maker widgets.